This past weekend I had the chance to see the Swedish Museum's traveling Vikings exhibition. The selection of artifacts was really quite good and I recognized many items that I had previously known only from little online photos. Other photo albums of the exhibit are online but I thought it wouldn't hurt to share my photos too! Not great conditions for photography, but I did my best... have tried to include photos of captions and inventory numbers for convenient reference. Few small previews below, larger photos at the link. Thanks for sharing the pictures Mark. The axe with plant ornamentation protruding down from the beard & socket is of particular interest as the change from Jelling style to Mammen style is actually the (Christian) introduction of the plant element where before you had a pure animal style. The later Ringerike style seen in Norway and Sweden also incorporates this plan ornamentation and could also be seen as a Christian "marker". The second viking sword you showed seems to have two "gold horns". Sadly that part of the pommel seems to have been punched in, but with a little imagination you could see a bull's head?! Wonderful Thor´s hammer with eagle (raven?) head! The axe with plant ornamentation protruding down from the beard socket is of particular interest as the change from Jelling style to Mammen style is actually the (Christian) introduction of the plant element where before you had a pure animal style. Yes, the axe's decoration is interesting, definitely shows the Christian-influenced plant motif. I was thinking it might best compare with some of the border designs on one of the Ringerike style weathervanes? What is most striking upon seeing the axe in person is how small it is - barely bigger than the palm of your hand. I found another similar example which is just slightly (1 cm) smaller that the Swedish Museum describes as a "miniature axe" for ceremonial purposes. I would agree that Ringerike style fits very well. It's one nifty little 1-handed axe for sure. I don't know why it should be a ceremonial axe, just because it is small. 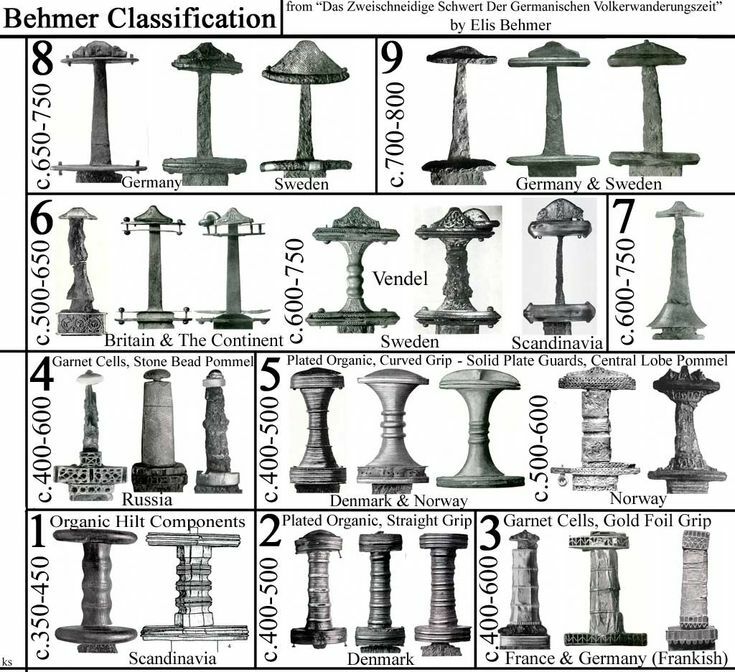 You can find later warhammers with very small heads as well - I have seen some minuscule ones in Danish museums (I have a postcard of one, but can't find it right now). A small axe will still deliver a lot of damage on impact because of force concentration and the lower weight would make it more nimble in the hand. According to legend Absalon - the Danish Archbishop of Lund & Bishop of Roskilde during the latter part of the 12th century - wielded a small 1-handed axe in combat. About the lecture: Valkyries are terrible psychopomps (those who brings the soul from the land of the living to the realm of the dead) and they are creatures of battle horror as indicated by their names. So somewhat akin to the celtic Banshee's, though the idea of the appearance of the Banshee will mean death is actually more comparable to the Norse family-Fylgjur, that shows itself to one just before you die. So instead of being images of supernatural "valkyries" maybe some of these figurines are actually real warrior-women! Skadi does that when she arrives among the Aesir and demand bloodmoney for the killing of her father. The Aesir gives her the right to chose a man from seeing his legs only (she wants Balder, but ends up with Njord instead - so we learn that Njord has hot legs ). The point is that when married, she "should" end being a shield-maiden. As Neil Price says in the lecture: If a woman dressed like a man or a man like a woman it was a reason for divorce. Skadi later just leaves Njord (and we assume she is still wearing pants ). Gardeła, "Warrior-women in Viking Age Scandinavia?" Sawyer, "Women in Viking-age Scandinavia - or: who were the shieldmaidens?" Do you know of any of these figurines that have a more military aspect? Women/valkyries carrying weapons, wearing helmets, ...? I don't know of any but would be interested if there are. The four figurines in your picture are not the really martial ones, but is within a whole group of female figurines where is has been generally assumed they are supernatural women, whereas in fact they could be "real women"! In the lecture Neil Price shows the real martial ones with helmets, swords, shields & cavalry lance (3 general types). Matthew Bunker gave the Hårby example recently found in Denmark, that is the first 3D-version ever found and fantastically important for seeing clothing and hair details - and also two good examples of the third kind of woman with sword, helmet and shield, but as you see the have different grips on their shield (right way and backwards whatever that means?). B) an (assisting?) woman only with shield and helmet, but no sword in front of the horse. The two women to the right of your picture holding the drinking horn seems to be the Queen or Lady of the household that during the ritual would go around with the cup presenting it to each of the warriors. [She is definitely NOT a servant]. It seems when you read Beowulf and scandinavian texts, that she determined the "ranking" of favour (by her alone or both her and her husband is not quite clear) by the order she presented the men with the drinking horn. In Christian times this office was removed from women (the wife) and given to a man - in German called "Schenck" which was an office of great honour [in Danish: Skænk]. von Stauffenberg (guy that tried to blow up Hitler) actually was a hereditary "Schenck". Thanks Matthew! Very interesting examples. Oh, I think I have seen that one before! Thanks for the reminder. I was thinking I had seen it just recently in a book I have here... but it seems I have a photo of a different but almost identical example, listed as from "Fugledegard/Bulbrogard", also in the National Museum. 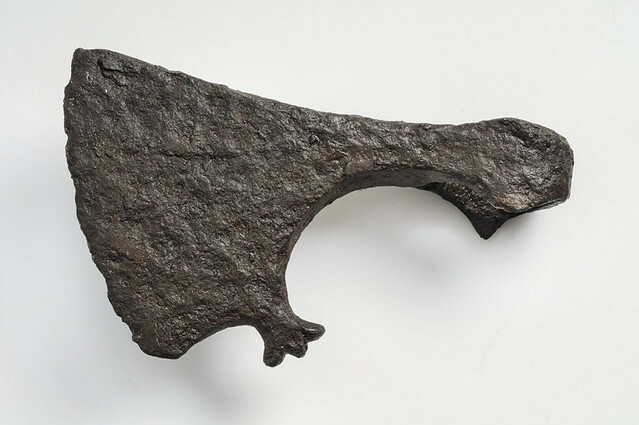 Another interesting thing to discuss from your pictures are the Torslunda helm plate patrices from Öland in the Swedish Vendel era (so late Iron Age). Öland had most likely at this point subservient to the Vendel Kings? As "Swedes" in the later written down mythology by Snorri and Saxo are so closely connected to Yngve-Frö (Old Norse: Yngvi-Freyr) the following image is extremely interesting. His name is Yngve and Frö his title (= Lord). Frö is according to Snorri's legends connected to the battle-boar Gullinborsti (Golden-bristled). One story said he rode the boar to Balder's funeral and another that the boar pulled the chariot (based on indo-european development the second story with the chariot is the oldest). The boar had the characteristic of being dangerous in battle and more often than other wild animals actually fighting to the death. That is often a very interesting statement to make. 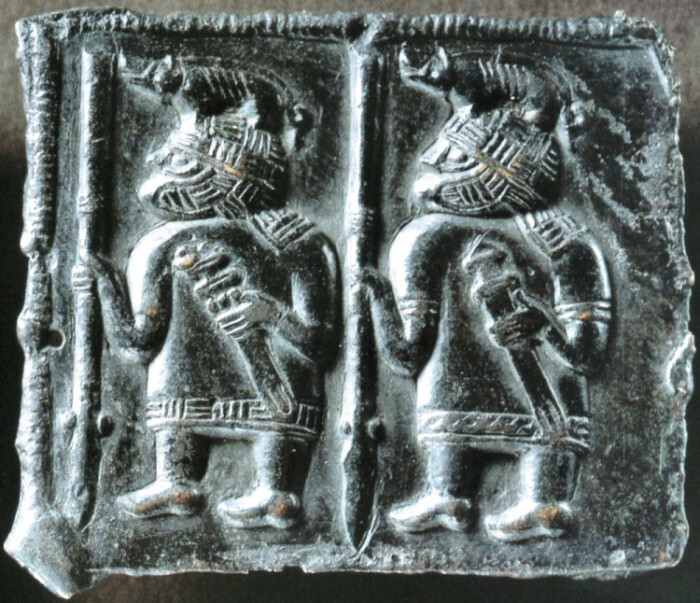 So these two guys are "Swedish" (Öland) warriors signaling with their helmets EITHER their style of fighting AND/OR their loyalty towards a house connected with Yngve-Frey (the Ynglingar royal house of the Swedes which have Yngve-Frö as their ancestor). Again it is not likely "worship of gods" as we understand it in a Christian way, but rather friendship and loyalty towards a divine ancestor of the family. Whether these are actual members of the Ynglingar house or warband retainers is off course quite impossible to answer. But for the discussion it is very interesting that they are quite similar in attire, but have clearly two different swords!! Again that might point to have received them as gifts from their King or local leader on Öland?! So would a leader bestow something "special" to his warband (comitatus), so not having a special sword-type for his retainers or are these royal members that have received their swords from a source elsewhere than the comitatus leader? For some reason your links to photos in my own dropbox are not appearing properly... is anyone else having this problem? The Vendel period is getting to be outside my time period of interest, so I don't have much to contribute... I would suggest that perhaps the right warrior's sword is consistent with Behmer's type 6; the left warrior's sword may show a pommel-ring, also a feature of type 6... though the triangular pommel piece does not seem to be present in this case. You mean whether the image is visible or not? Because I can see them on my computer? Well Mark, maybe I can sneak in a beginning interest. Yet one sword has apparently a ring on the pommel - which is classic Vendel style. The other sword has a triangular hat but no ring. 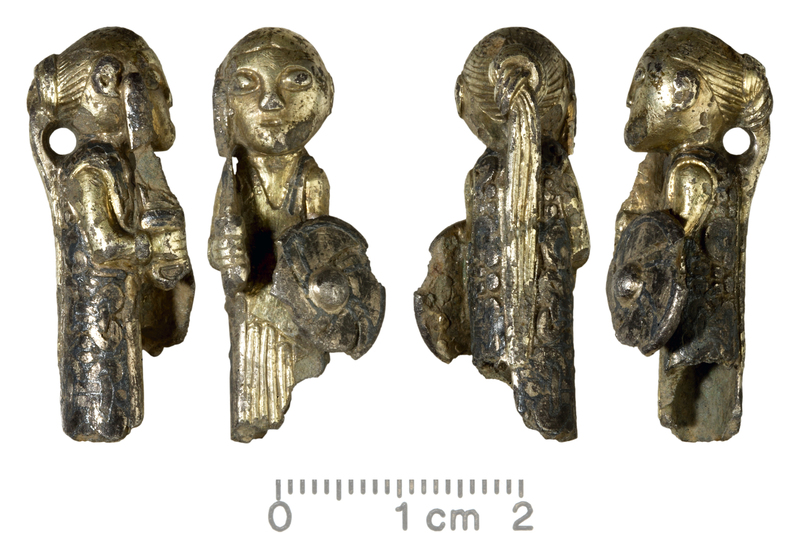 In fact the figure you showed actually shows two swords from Vendel 600-750 AD (which could be like these two swords shown here, one with ring and the other without). This sword difference could be iconographically significant (or not), but it is the only real difference between the two warriors - helmets, spear, dress (mail?) seems identical - though we do have different "fur lining on the mail" or dress between the two? Also the right figure seems to have arm rings? - two on each arm whereas the left warrior doesn't. So in fact both carry "rings" just on different places. I found a better photo in a book I have here (Viking Art) where it can be more clearly seen that the left warrior's sword does also have the triangular pommel, plus the ring, so together the two swords shown essentially match with the two examples given by Behmer. That is actually extremely interesting as the helmet plate is basked up by actual archaeological find. You have two different kinds of swords. For the left warrior a ring-sword but no armsrings. For the right warrior armrings, but no ring-sword. Wonder if what we are seeing are two different kind of ranking/status; or warriors that have taken two different kinds of oaths? Arm-rings, neck-rings and ring-swords certainly was a big thing in the late Iron Age, and they do also appear later in the Viking Age. They probably symbolized slightly different things (and that symbolism likely also evolved through time).